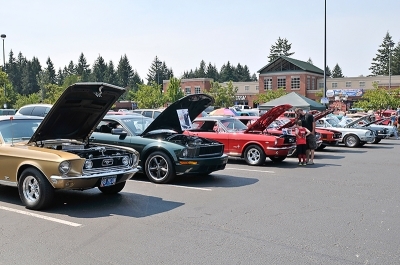 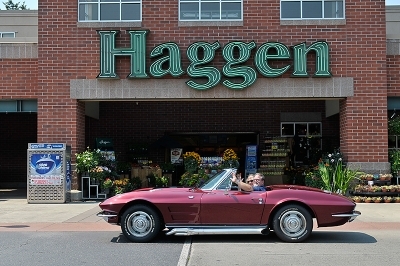 This was the 11th year for the Sizzlin' Summer Hot Rod & Car Show, but the 1st year in it's new location at Haggen's in Oregon City. 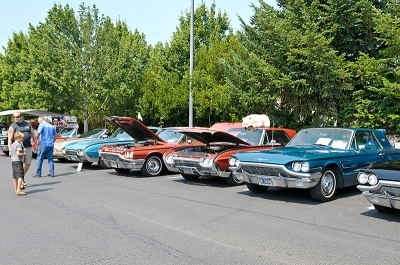 The show is hosted by the Northwest Vintage Thunderbird Club, but it's an open show and all cars, trucks and motorcycles are welcome! 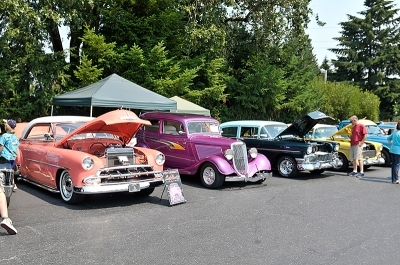 Car show participants and spectators enjoyed music, food and prizes and the talents of Ron Fyte (better known as Spiderman), who was on hand demonstrating his pinstriping skills. 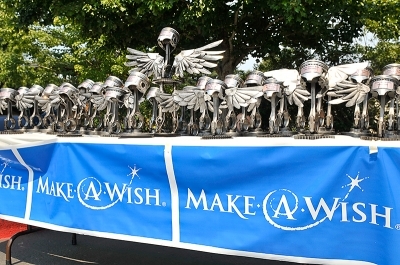 Net proceeds of the show benefit Make-A-Wish Oregon.